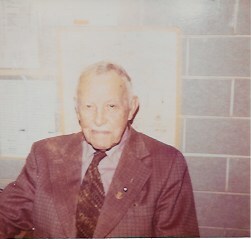 Dr. John Roy MacPherson, was born in North Dunwich Township (Elgin County) on the 30th of October 1892. His parents Daniel MacPherson and the former Beatrice Anne Searle, were farmers. At the time of his birth, his family resided at Lot 3, Concession 2 and he was eldest of 5 children. His siblings were; Bessie, Rose, Grace and Peter. Dr. MacPherson was educated in Dunwich Twp., at S.S. No. 10 and he attended Dutton High School for 4 years. He was the youngest graduate (M.D.) in his class of 1914, from the University of Western Ontario. He was also the recipient of the silver medal. He completed his internship at St. Joseph’s Hospital and Western Hospital in Toronto, Ontario. According to the 1928 Ontario Medical Register, he joined the College of Physicians and Surgeons, on the 17th of July, 1915. After completing his internship, Dr. MacPherson started practicing medicine in Durham County. He was only there for a few months, before relocating to Deer Lake, Ontario. In 1917, Dr. MacPherson bought the practice of Dr. Angus McLean, in Duart. Dr. MacPherson became Medical Officer of Health in 1917 and he held that position until 1945. During an influenza epidemic in 1917 and 1918, Dr. MacPherson worked day and night, travelling to see his patients by horse and buggy or horse and cutter. He married Hazel McKillop on the 16th of January, 1918, in Duart. She was born in Aldborough Twp on the 17th of April, 1894, the daughter of John McKillop and the former Catherine Ford. Her parents were farmers and she had an older brother named John. Dr. MacPherson enlisted in World War I on the 15th of June, 1918 in London, Ontario. He was discharged due to demobilization on the 28th of January, 1919. Dr. and Mrs. MacPherson had two children; John Donald MacPherson was born on the 5th of February, 1920 and James Archibald MacPherson was born on the 17th of June, 1927. In 1919, he entered into a farming partnership with his brother-in-law John McKillop. The farming business included a cattle operation. 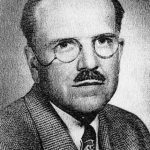 He was Chairman and Trustee of the Duart Public School Board, Welfare Officer from 1922 to 1960 and a Coroner for Kent and Elgin Counties. He was a member of the Children’s Aid Society from 1958-1959 and a member of the Kent County Tuberculosis Society in 1958. He was Reeve of Highgate from 1955 until 1963 and he was the Treasurer of the Kent County Health Unit during the same time period. Dr. MacPherson was the Treasurer of the Orford Red Cross Society from 1948 until 1967. Dr. MacPherson was a Senior Elder of the Duart Presbyterian Church and fraternally was a Past Master of the Highgate Masonic Lodge. He was also a District Deputy Grand Master of Chatham District. Dr. MacPherson was proud to be a member of the Ridgetown Rotary Club, joining in 1930. He was the fourth man to hold the office of president. He was the District Governor for District 638 from 1960-1961. Dr. MacPherson was a member of the Board of Trustee’s for the Public General Hospital in Chatham and the Sydenham District Hospital in Wallaceburg. His concern for the eastern half of Kent County, moved him to help found the Four Counties Hospital in Newbury. He became President of the Medical Staff. Dr. MacPherson was the President of the Kent County Medical Society in 1954 and he was presented with a life membership in 1962. Dr. MacPherson was also a member of the Ontario Medical Association as well as the Canadian Medical Society. On the 17th of June, 1970, he was presented with a Life Membership in the Canadian Medical Association at the annual convention in Winnipeg. 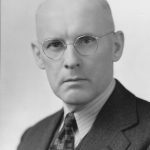 His son, Dr. James Archibald MacPherson joined him in his Duart medical practice in 1952. They remained in a partnership, but Dr. John MacPherson moved to Highgate in 1953. 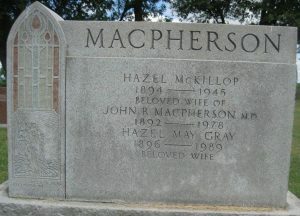 Mrs. MacPherson died on the 6th of November of 1945. She was buried at the Duart Cemetery. Dr. MacPherson married Hazel May Gray on the 11th of January, 1947. She was born on the 7th of August, 1896 in Cedar Springs, Raleigh Twp. Her parents were Donald Gray and the former Jennie Millar and she had a younger brother Duncan. Mrs. MacPherson was a registered nurse who graduated from St. Joseph’s School of Nursing in Chatham in 1917. She died on the 29th of September 1989 and she was buried at the Duart Cemetery. In 1964, Dr. MacPherson retired from farming but he continued to care for his patients. Dr. John Roy MacPherson had a heart attack while doing his rounds at Four Counties Hospital and died on the 3rd of July 1978. He was buried at the Duart Cemetery. *His son Dr. James Archibald MacPherson and Dr. Angus McLean also appear on the Chatham-Kent Physician Tribute website. **Dr. MacPherson appears on the Gathering Our Heroes website.